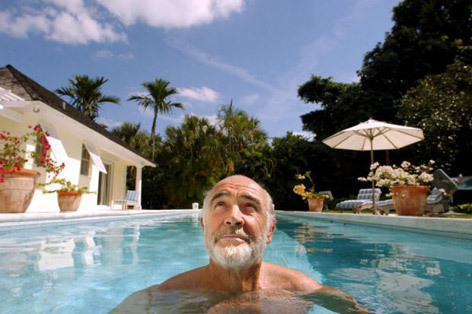 Although he proudly is a Scotsman and a strong supporter of (an independent) Scotland, Sir Sean Connery has taken up residence in sunnier (and more tax-friendly) places, most notably in the Bahamas. Connery lives in the plush Lyford Cay neighbourhood on New Providence Island, surrounded on three sides by Clifton Bay and the Atlantic Ocean. The Bahamas is a classic Bond location: many Bond scenes have been filmed here, including for Thunderball (1964) and Never Say Never Again (1983) both starring Connery, Licence To Kill (1989) and Casino Royale (2006) and subaquatic scenes were filmed for You Only Live Twice (1965), The Spy Who Loved Me (1977), For Your Eyes Only (1981) and The World Is Not Enough (1999). 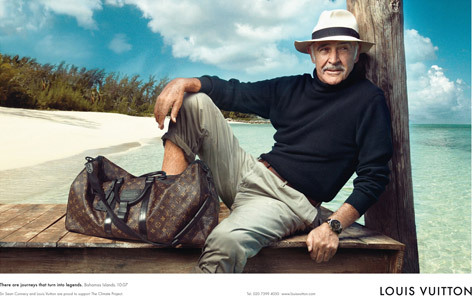 Combining two Bond elements, celebrity photographer Annie Leibowitz shot a Louis Vuitton campaign on the Bahamas with Sir Sean himself posing on a dock with a Louis Vuitton bag. Sir Sean Connery and Louis Vuitton are proud to support The Climate Project. Other celebrities that participated in the campaign include Madonna (who also performed the title song for Die Another Day), Keith Richards, Sofia and Francis Ford Coppola and Bono. James Bond has been using Louis Vuitton bags in several movies, for example some suitcases in The Man With The Golden Gun (1974) and the bags and suitcases in A View To A Kill (1985). Sean Connery lived in Marbella, a town in the south of Spain, for many years from the early 1980s until 1999. He enjoyed playing golf on one of many courses in the sunny area and relaxing in the luxury villa near the ocean. 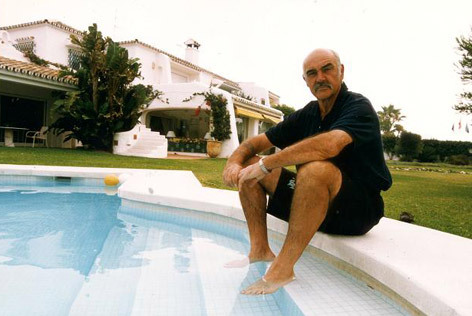 See more images of Connery in his Marbella home in 1983 on Corbis. 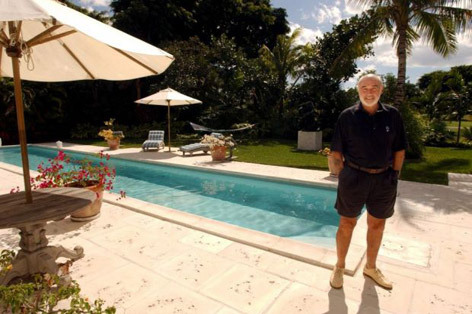 Connery sold his villa in Marbella in 1999, after which 72 luxury apartments were built on the spot, getting him involved in a real estate fraud scandal. In 2014 the Spanish court said there was no evidence Connery had been involved in any illegal real estate dealings and dismissed all charges against him, but 50 others were convicted. Many other celebrities own properties in Marbella, George Clooney recently acquired a house in the seaside town. 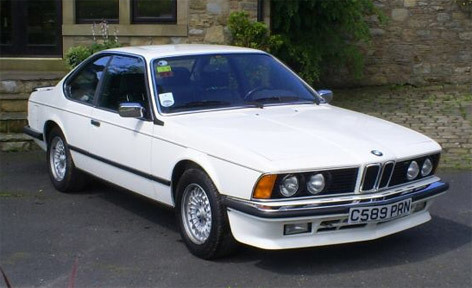 James Bond may have only discovered BMW in GoldenEye (1995), but original Bond Sir Sean Connery is said to have owned a BMW 635 CSi when he lived in Marbella in the 1980s and 1990s. 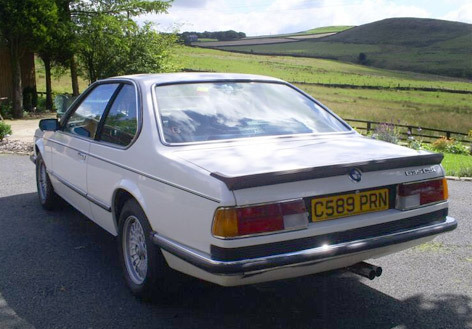 Through an eBay auction in 2008 it became known that Sean Connery's vehicle of choice was an Alpine white BMW 635 CSi with blue leather interior. According to the eBay seller, Connery was the first and only owner and drove it around in the Costa del Sol from 1986 to 1997. At the time Connery owned a house in Marbella. The seller acquired the car at an auction in London in 1998. The Spanish Registration Document apparently proves the BMW was Connery's (although this brings to mind the Seinfeld scene about Jon Voight's LeBaron). The BMW sold on eBay for only £7,212. If anyone knows the whereabouts of this car today and can show the original paperwork, please send a message. 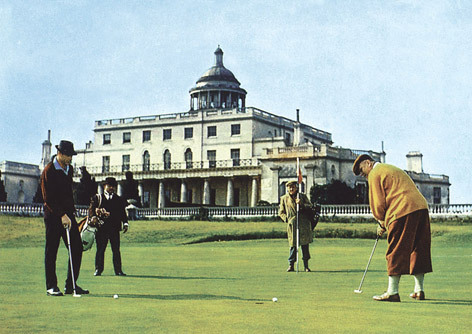 Even though Connery grew up in Scotland (a country famous for the many old golf courses), Sean Connery's love for the golf didn't start until he played the game for the movie Goldfinger (1964). "I never had a hankering to play golf, despite growing up in Scotland just down the road from Bruntsfield Links, which is one of the oldest golf courses in the world. It wasn’t until I was taught enough golf to look as though I could outwit the accomplished golfer Gert Fröbe in Goldfinger that I got the bug. I began to take lessons on a course near Pinewood film studios and was immediately hooked on the game. Soon it would nearly take over my life." says Connery in his autobiography Being a Scot. The golf opportunities in the sunny South of Spain was one of the reasons he lived in Marbella for many years. Connery played several celebrity games, for example Bing Crosby’s showbusiness amateur teams against professional golfers in America and the Michael Jordan celebrity tournament in 2005 on Paradise Island in the Bahamas. 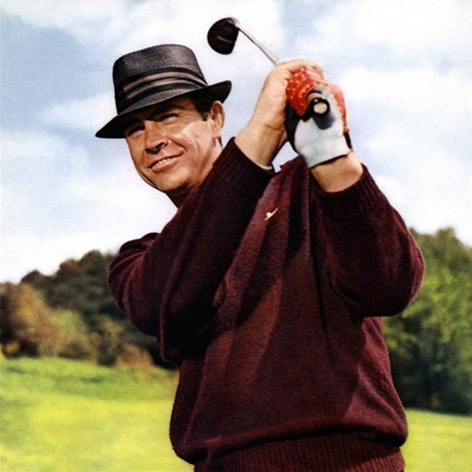 In the movie Goldfinger, Sean Connery famously wears a burgundy Slazenger v-neck sweater, but it is not well known that he also wore Slazenger sweaters later in his life while playing golf. The burgundy Slazenger sweater was recently reissued by Slazenger heritage - get it exclusively at the official Slazenger Heritage website. 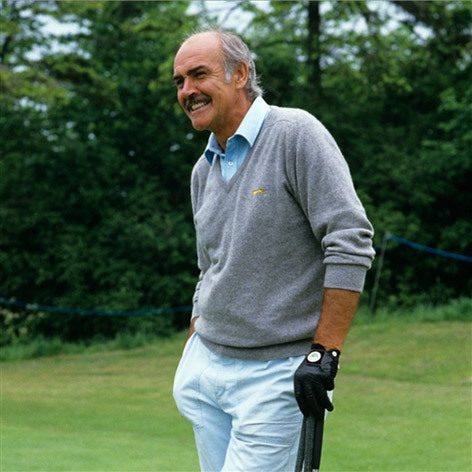 Recently more colors of the sweater were released, including one in Marl Grey, a color worn by Sean Connery, also available on Slazenger Heritage. Several other famous golf players including Jack Nicklaus and Johnny Miller wore Slazenger golf sweaters. With so many great Scottish whisky brands and Connery being so proud of his Scottish heritage, it is curious that Connery has mostly promoted whisky from other countries. 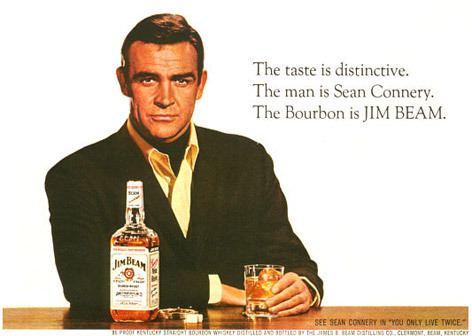 At the time of You Only Live Twice, Connery appeared in ads for the American bourbon brand Jim Beam. In the early 1990s Connery promoted the Japanese whisky Suntory (a whisky actually consumed by Bond in You Only Live Twice). Read more about Suntory whisky (and about Bill Murray's James Bond impression) in this article. In 2004, Connery finally lends his image to Scotch whisky, in the Dewar's 12 Special Reserve campaign called "Some age, others mature". The commercial features the younger Sean Connery as James Bond meeting an older Sean Connery recommending him a Dewar's. Another commercial where a young and old Connery are combined is for French carmaker Citroën. Shots of a young and an old Sean Connery are mixed with either a Citroen C5 and a C6. Although not particularly a Bond car, a famous Citroën was seen in a James Bond film: a yellow 2CV owned by Melina Havelock in For Your Eyes Only (1981). Excellent article and very interesting! I was looking up for more info yday whilst watching DR NO, again. This should be included in the JB Achives book. More please!!! Yes, an excellent article. And I finally got to see the two commercials with two Connerys in them. Love learning about my favorite actor, Sir Sean Connery. Please keep in touch with your devoted fans. You, Sir, are The Man - a man's man that makes women feel safe yet wary in a good way !